Here is a card I made using some new stamps from A muse...the lovely wild rose & wild rose branch. I stamped the wild rose branch on the base after stamping it off first once on scrap paper. 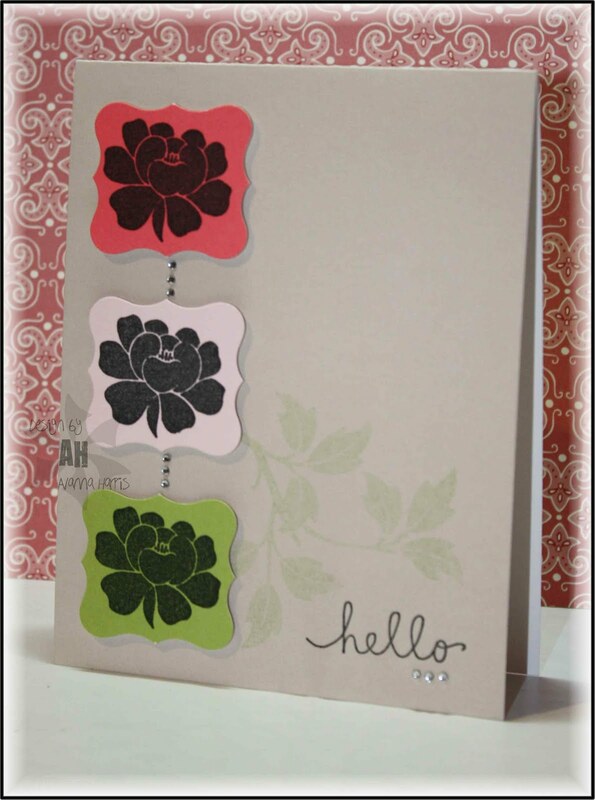 I stamped the wild rose on various colours of A muse cardstock (aren't the colours pretty? ), punched them out and popped them up overtop the branch. I linked the three images together using tiny twinkle stickers. The sentiment fit perfectly on the bottom of the card with three more twinkle stickers below. I love love love how this turned out...hope you like it too! !